Jan 17, 2013: The creation of new accounts is temporarily suspended, due to spam. Please email mn@michaelnielsen.org if you'd like an account set up. Polymath4: A deterministic way to find primes. Proposed July 27, 2009; launched Aug 9, 2009. Research results have been accepted for publication. Polymath5: The Erdős discrepancy problem. Proposed Jan 10, 2010; launched Jan 19, 2010. 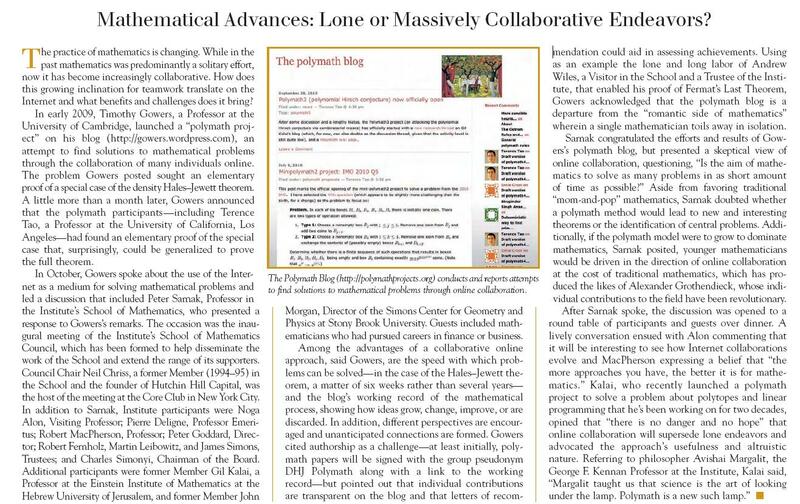 Math Research Trends Wiki "research in the middle"